Advanced Mastery helps uncover how we invisibly get in our own way, divert ourselves and tell ourselves myths about "what must get done" and "what no one else can do but me." It then enables us to clarify our goals and essential tasks, so that we can commit our energy and efforts to those -- and live more purposefully. This is a transformative experience. LaL has been incredibly helpful to me over the past few years as both a leader at work and with my family at home. I have discovered that I was a person who avoided conflicts at all costs. This made it difficult for me to hold people accountable or for them to know where I really stood. I also realized how wedded I was to being right. At our company, the top 20 leaders have gone through the executive program, we have cascaded the methodology down to another 100 or so. Since we’ve started this program, we’ve experienced significant results. As individuals, we have shifted from a space of needing to be right to finding the right answer, no matter who came up with it. We have open dialogues about what has hindered our ability to collaborate and how we can do things differently. Instead of viewing feedback as something that is dreaded and feared, we welcome it as a positive, learning opportunity. As a company, we have made incredible financial progress. Our revenues, cash flows and profits have more than doubled and our stock price, over the last year, outperformed our competitors and the S&P 500 by more than three times. Our work with LaL allowed us to focus on the things that mattered to grow our business profitably and not waste our time and efforts on turf warfare and interpersonal struggles. My personal journey with LaL has helped me to clarify my personal and career goals. Had I not overcome my need to be right and my conflict avoidance, I know I could not be nearly as effective as I am today and the relationships I have with my colleagues and children would not be as productive and close. I have worked with the team at Learning as Leadership for many years. They deliver high-impact, in-depth, developmental programs that fundamentally transform the way leaders lead and build relationships. They are one of the most impactful organizations in this space that I have ever worked with. The whole LaL experience has been a huge gift to me. It has helped me grow in areas I did not realize I had issues or weaknesses, including tackling my procrastination from the inside out, learning to truly inspire and develop others and asking others for help. It also opened my eyes to see how judgmental I was, allowing me to listen without judgment, which has made a huge difference in my relationships with my co-workers. My colleagues and I who’ve been through LaL have learned that when we have truly open, undefended dialogue, when we are willing to stand up and be vulnerable, it gives everyone else permission, too. It ignites empathy and then people can say what’s really on their mind without fear of judgment. We are getting to the real issues quicker. When the team states what they feel, we get more valuable input with which to make much better decisions. Doing Advanced Mastery really helped me synthesize Personal Mastery more and pulled it all together more clearly with real application. Team Advanced Mastery completely transformed the way I interact with my team, and the way they interact with me. As a result of our work, I receive more open and honest feedback, active collaboration and the full impact of a true team reaching its full potential. As a manager, it put me on a path to being a better coach, mentor and leader then I ever could have gotten to on my own. In attending LaL together with my team, we realized that until we were able to have non-ego-driven, open, honest and complete communication, we only stayed on the surface of the issues. LaL has helped me to learn how not to avoid conflicts, but to use them to address the real issues and save immeasurable time and energy. By the time any manager has reached an executive level, he or she has spent hours, days, months in countless training programs, little of which create lasting change. The LaL work is groundbreaking; it builds an understanding of root causes, rather than focusing on symptoms. In the last 16 months since I finished the program, my work with LaL has resulted in new national leadership opportunities and board service for me, my growing the fundraising capacity of my organization and board support for my work. LaL helped me open previously locked doors to take my career to the next level. LaL also helped me transform my life. I was finally able to make the cognitive connection between my limiting behaviors and the outcomes I was seeing despite years of searching. It has set me on a journey to joy and fulfillment that continues to delight, startle and amaze me at once. This program offers the most powerful set of conceptual and practical tools for business and life that I have yet encountered. My partners and I are using Learning as Leadership’s work as a centerpiece for defining and implementing our company’s mission in all aspects. It is profoundly impacting our firm and, in turn, our 15 portfolio companies. Not to be missed. It is astonishing how each step in the One-Year Program goes ever deeper toward the core issues, offering a unique opportunity to step back and examine one’s life with the most powerful analytical lens I have ever encountered. This work constantly provides new insights that make my life richer and more satisfying both at work and at home. The seminar helped me uncover what fueled my sense of pressure and anxiety about too much to do and too little time. I left with greater clarity about my goals in a variety of aspects of my life, clear road maps for them and tools to create an abundance of time to do what is essential. As an internal business improvement consultant, participating in LaL's 1-year program was pivotal in helping me drive change initiatives and make them sustainable. I am better equipped to deal with the human and emotional aspects of my work in supporting a team to reach their goals, thanks to the structures and framework I learned at LaL. I have been able to break through deep-rooted patterns of behavior, like avoiding conflict. Now I am more willing to give feedback and confront issues head-on to move the project forward. As a result, I am better able to support the senior executives and teams I coach to step up to the plate — and they are! The positive impact of this deeper level of dialogue is evident at work and at home with my three children. The results of our son’s participation in the 1-year program have been no less than astounding. He has taken charge of his life in a way that many far older people do not. He is clear on his goals and has become a more focused, more responsible and just plain happier person. Advanced Mastery exceeded my every expectation and has positioned me to be more strategic and valuable to my organization. As our executive management team engaged in LaL’s one-year leadership development program, we developed a level of trust and communication unique to the LaL experience. During this time, even though we reorganized our entire business, we were able to retain key members of our team who were receiving competitive offers from Internet start-ups and to significantly increase our business revenue while the entire industry imploded around us. LaL’s involvement in these events (through seminars, in-house strategy sessions and coaching) was a very critical factor in our miraculous success. One important observation regarding the investment of seminar time: we have experienced to conclusion that the best time to attend LaL is when you believe you can least afford to spend the time. Our return on investment in both time and money has been substantiated through the feedback of our employees, our vendor partners and our families. David Raab Executive Vice President of Operations, Sarcom, Inc.
Of all my personal and professional development opportunities, my experience with the work of LaL ranks as perhaps the most powerful and effective of any I have done in more than four decades. Through LaL, I got in touch with my deeply established patterns, avoidance schemes and the roots of my major issues that have been holding me back. I was able to put together a systems map of these patterns that allowed me to see the entire mechanism in operation so I’ve been able to move from insight to action in a way that previously proved elusive. The LaL staff engendered my trust in their process by showing that they are fully involved in doing the work themselves. I saw little of the “sage on the stage” approach; instead, I heard an invitation to participate together into an inquiry into our shared human condition. Typically, an issue that was up for examination was illustrated by a staff member working through a recent encounter or present issue of their own. The sense of vulnerability and exploration was palpable throughout the staff, from the leaders to the assistants. Already, I and those closest to me have noted the benefits that this work has brought to my life and my community. I am looking forward to what continued immersion in this work may bring. Jeremy Seligman President at Insight to Action, Former Chair, Society for Organizational Learning Board of Directors; Former Board Member, Pegasus Communications, Inc. The LaL ‘feedback collectors’ elicited open and honest feedback from my co-workers and wife that helped me realize that I had a lot of work to do (in a positive way). Having a coach support me through the feedback delivery helped me read between the lines and not avoid some things I would have otherwise avoided. Through the 1-year graduate program I learned to move toward issues rather than running away when difficulties present themselves. I am having more direct, emotionally centered conversations with my peers, direct reports and board members, which ultimately leads to better teamwork. Beth Smith Executive Director, The Hyams Foundation, Inc.
We have developed a common trust and openness that is far beyond what I have previously experienced at work. The LaL training helped me thrive in the frequent discomfort of building my own company. It has been a catalyst in making my new company so successful. LaL’s approach to systemic change through personal development is unique in its depth and potential for transformative learning. By midway through the Personal Mastery seminar I had constructed a mirror that provided an undeniable reflection of the patterns of my life, the motivations that drive these patterns and — most painfully — the costs of these patterns to myself, my relationships and others in my life. It took time to construct this mirror and even more time to internalize, and really feel its implications. Yet this was essential. My reflection became a powerful engine for change — an engine typically absent in other approaches to change. The next step focused on creating an alternative compass: new motivations, goals and practices that formed a framework for breaking through old ego‐driven patterns. The seminar helped me turn some important corners in my life and change the texture of my daily interactions. It was a gift to myself and to my family. I have since recommended LaL to many of my closest colleagues and friends. The One-Year Program allowed me to make a fundamental shift in my approach to my work as a university professor. As I took a hard look at my behavioral patterns, I realized that I spent a lot of my work life taking on jobs because they validated my standing and value, not because they were aligned with my real aspirations. I soon resented the time they took from what I considered to be my “real” work, and they became obligations rather than opportunities. LaL helped me clarify and recommit to what I want to contribute through my professional and personal goals, and this has renewed my energy and enthusiasm for my research and teaching. My students have responded to my new attitude and approach with enthusiasm, and we are jointly creating seminars and research projects that we are deeply excited about. Instead of complaining about problems at work, I am now committed to understanding my role in them and how I can co‐create the work environment and meaningful collegial relationships that I want. These transformations have also affected my personal life. My husband and I have begun to clarify our common goals, and the impact on our family relationships has been very positive. As a social psychologist, I have been fascinated at the overlap between the teachings of LaL and the psychological research literature on people’s essential needs, the self‐esteem system and the circumstances that encourage true mastery and relatedness, rather than the illusion of competence and feelings of superiority. Not only are LaL’s teachings well grounded in empirical research, but they translate into concrete and lasting change. We attended LaL as a family — 2 working parents, 3 teenage kids — facing the typical family dramas: communication breakdowns and the resulting arguments and isolation. We now talk honestly and openly about the real issues on topics ranging from the family budget to how we can support each other with our individual struggles. I don't even want to think where we would be otherwise… LaL is a chance of a lifetime. I attended Team Advanced Mastery with a colleague at Shell who was critical to the success of a special project I’d been assigned. He probably felt threatened by the fact that I’d been given the project which was all about improving the area for which he was responsible. The seminar helped us see the situation through each other’s eyes and find a way to work together without being defensive. As a result of our project, Shell went from having almost $7 million in annual losses due to crane and lifting operations incidents to only $150,000 in the first year after implementing the recommendations from the study, then nothing of significance for years afterwards. Team Advanced Mastery was a very successful team-building event for me, our team and our organization. One of the best group of facilitators I have experienced. The Personal Mastery workshop hit just the right place for me. I’ve been to a lot of workshops, and they usually tend toward one extreme or the other. Many are too touchy‐feely, while others promise to turn you into a robot‐like, efficient work‐machine. I often leave feeling like I didn’t get a whole lot from the experience. Personal Mastery is different. It gives you the opportunity to really look at yourself — to see who you are, how that determines what you do and how you can choose a different path. It’s been tremendously helpful for me. It delivers. LaL has been incredibly helpful to me as a CEO and a husband/father over the past few years. Throughout my career I have been provided the opportunity to participate in many leadership development seminars and have read countless books with a formula for becoming a great leader. Despite accumulating a vast amount of knowledge, my general leadership style didn’t change very much. On the surface, that hasn’t seemed to hurt my career. However, I have come to realize that certain counterproductive aspects of my style that I built up over many years were limiting my potential and the potential of our company. As an example, I now realize just how far I will go to be right and the impact that has on my co-workers, friends and family. Instead of creating a space for open dialogue and free exchange of ideas, when I perceive the threat of being wrong, I will compensate by diverting to a new topic, debating with people over things that don’t matter or seeking allies that will agree with me. Obviously, that isn’t the environment where learning can occur. I know that, and you know that, but what I didn’t suspect was how much I do it, why I do it nor how to change it. That realization (and many others) was the direct result of a partnership Encore began with Learning as Leadership (LaL) in late 2005. LaL is an incredibly unique leadership program that has evolved over 25 years of empirical research, training, coaching and consulting. Many programs describe what leaders should do, but I haven’t found another program that helps me understand the root causes of my unhelpful behaviors, and then provides real, useable tools to change them. They provide the venue, the tools and a tremendous amount of support and honesty for you and/or your team. At our company, the top 20 leaders have gone through their executive program and we have cascaded the methodology down to another 100 or so leaders through their in-house program, called WeLead. The results are embedded in our financial returns, which have been quite strong despite the industry and macroeconomic headwinds. I’m realizing more and more how key business challenges are fraught with people issues, unacknowledged performance gaps and long-standing silos. Our partnership with LaL has led to the dissolution of a number of difficult “Us vs Them” dynamics, namely between IT and Operations and between different parts of our Collections business, a very significant uptick in our employee engagement numbers over four years ago and numerous unsolicited comments from new hires about the unprecedented openness in our culture compared to their previous organizations. I want to genuinely thank you for investing in me and providing me with the LaL opportunity. In my opinion, it was the most impactful personal experience that I’ve had since my time in the Marines. I’ve learned so much about myself and I’m working really hard to incorporate what I’ve learned into my daily life. I am implementing a number of things that I would have never done prior to LaL. I will work hard to leverage the experience to its fullest. In summary, both from personal experience and seeing the benefits for my team and the company, I highly recommend LaL. I’ve made real changes in my leadership and communication style. Staff members learned new ways to resolve key issues. We brought our multimillion dollar project in, on time, on budget, and projected a 700% return on investment! I wanted to get away from the drugs and alcohol that were so pervasive at my boarding school. I had also begun to form poor habits with how I spent my time. I was mostly doing what I wanted, when I wanted — playing video games for hours at a time, watching movies or just getting drunk and playing pool. Life didn't excite me, and I hated my classes, but I thought I was having fun. At LaL I began to see that I really wasn't doing what I wanted with my life. I am now connecting with my real passions. I am realizing that what I do now creates my future. I have committed to no drugs for life and no alcohol for one year, and I am challenging myself to let go of all the ways I escape. I am committed to living a more constructive life and I am learning that may mean going against what I view as "fun." Interestingly, life has become far more exciting in the process. I am so grateful for the gift LaL has given our family. My husband Ernie and our 16-year‐old son Jonathan attended Personal Mastery and it was a huge turning point for us. Thanks to LaL, Jonathan is more connected to the ways in which he can sabotage himself. He realized that his behavior was driven by his fear of failure. He started the school year very well. He studies for hours and even does his laundry once a week! Jonathan’s relationship with his father, Ernie, is much better too. LaL helped them both see that because Ernie grew up in an environment of excellence, Jonathan felt that he wasn’t good enough. Jonathan has recently taken a job working with his father, which in the past never worked. It’s exciting to see them together in this new relationship. The management team of the Instrumentation and Controls Division has been actively searching for ways to enhance its performance for several years. Yet any improvements tended to be transitory. From our first LaL workshop, the effectiveness of our team improved dramatically — and still is. This ongoing, sustainable change stands in sharp contrast with our experiences with other leadership training methods. We have better agreement on our priorities and far more effective team collaboration. If we had worked together for 20 years, our team would never be as successful as what we have accomplished with LaL this year. Since we began the 1-Year Leadership Training Program, we have expanded from four clubs in Hong Kong and Singapore to 10 clubs throughout Asia with 1,200 teammates and increased revenues of 250%. I am thrilled that our senior management team (a recently-assembled multinational group) has gone through LaL’s courses during this challenging time of high growth. LaL has taught us how to create a safe environment where we can discuss our issues and express what is normally unsaid. We are better able to listen to each other without reacting, and sustain a common vision. We have gone to the next level of individual and team performance, and now have many new tools to ensure we remain the number one fitness team in the world! As a typical introverted technical geek, I was afraid to step outside my comfort zone. I attended LaL to work on my tendency to avoid conflict and my difficulty initiating new relationships. Thanks to the training and coaching over the past two years, I am now better able to hold people accountable to milestones and deliverables. Instead of being afraid of delivering the bad news, I engage my employees in the process and approach the situation in a more effective way. I have been able to build new relationships, increase my sphere of influence and improve my ability to get buy-in for my ideas from multiple stakeholders. I have become a more effective leader, creating ground breaking initiatives and impacting a level of organizational change far beyond what I have accomplished my entire career. We can honestly say that our lives are fuller, richer and less impaired by tension and blame as a result of our ongoing involvement with LaL. Within our marriage we have been able to get less caught up and confused by old patterns of thinking and acting. Instead of being captives of discouragement and resentment, we are able to express our needs and aspirations more fully and honestly and to be more mutually supportive. Although there are new situations and challenges in every relationship, we are now better prepared to deal with them as a result of our LaL training. We feel we have been given a gift of renewed commitment to our marriage. Starting with myself, I have been able to empower my 60-person department to transform negative competition to collaborative partnership. The productivity gains have exceeded 100%; my staff became willing to go the extra mile. It is obvious the LaL team cares about the work they do and the professionals they work with. In Advanced Mastery, it’s so impactful that they’re leading by example, rather than just teaching a curriculum. LaL’s engaged, competent facilitators guided me to examine how I could live more fully, both personally and professionally. It was very helpful to do this with other non-profit and for-profit leaders, and the preparatory work of the 360º feedback and coaching truly set me up for success. I do things differently today because of LaL — with more focus, intention and awareness. As an effective manager with a successful track record, I was a bit skeptical about the impact LaL would make. No more skepticism here — I highly recommend the LaL program. To say Personal Mastery had a profound impact on my view or my current situation would be limiting. I know that I’m better equipped right now to deal with my pressing issues than before. Thank you. Thank you from the bottom of my heart. As a practicing obstetrician/ gynecologist with a good job, a very supportive and loving spouse and two small children, defining a path for my life is something that I had never really done consciously, in spite of all my so‐called personal and professional success. Somehow, careful scrutiny of my past experiences and behavioral patterns in the challenging, but safe and supportive environment provided by LaL, enabled me to feel transformed. My relationship to and communication with my patients and colleagues has dramatically improved. My spouse and I have a depth of understanding that simply would not have been possible had we not attended the LaL seminars together. It has resulted in a much deeper level of commitment. I am clearer about what I really want for my children, have gained some measure of control over my finances and have become more involved with my community. I am better able to support those I care about. This is the result of a total of two seminars and four months of coaching. I have regained my time & money investment many times over. LaL has provided me with a concrete way to build a culture of learning not only through developing programs for students and faculty, but also through carrying out my everyday responsibilities as an administrator. I would highly recommend LaL to any leader in higher education. When things went wrong, I used to blame people. Doing it myself was easier. I now have a vision for my staff and am committed to their development. As a result, we have had our most successful year ever. LaL’s 360º Feedback put the information in the context of things that I wanted to work on, and brought out recurring themes that I hadn’t fully appreciated. Prior feedback from other organizations did not relate the feedback to specific events or relationships, but simply reported back at a high level, leaving me grasping for specifics on how my behaviors were working against me in terms of realizing my goals. The feedback process is well thought out and comprehensive. The ‘feedback collectors’ ask great questions and gather very good raw information, and LaL’s coaches are outstanding at analyzing and understanding this information and presenting it to the individual. As a consultant, in order to coach my clients, I have to make sure my own issues don’t get in the way. I can help my clients focus on their purpose when they are caught up in politics, fears, hidden agendas, etc. This often involves conflict and brings out people’s egos. I can work with that now, whereas before I would avoid it. I’ve been talking for two years about making changes in my work; LaL coaching has helped me stop talking about it and start doing it. I knew more meaningful work was inside of me; now I’m learning to bring it forward. As a dual‐career couple, it is all too easy for each of us to become absorbed in our own world, creating imbalance at work and within our family. Attending the LaL programs provided us with the opportunity and the framework to learn how to communicate genuinely with each other. We are working together to define our personal and professional goals and the support we need from one another to achieve them. Our commitment to our work, our family and each other has strengthened. The real joy was in rediscovering just how many goals we share together. We had been working on improving product development cycle time for nearly ten years, with little to no real change. We tried project management techniques, TQM, Statistical Process Control and Theory of Constraints. We had expertise in each of these areas, yet we could not make any significant improvement. LaL’s workshops and coaching helped us to see how our individual patterns of behavior did not allow us to make use of our collective expertise. After a year of working with LaL, our pilots achieved cycle times of 90 days, compared to our previous average of over 270! LaL has helped us to finally take advantage of our expertise, and make groundbreaking progress. My team and I were tasked with the complete overhaul of the lab infrastructure — there were many obstacles to overcome: territorial struggles, stovepipe thinking, etc… As a leader of my peers, I had no direct authority over a team accustomed to running their own organization. We attended LaL together and learned to collaborate and coordinate as a cohesive unit — not something we were used to doing! The LaL training helped us talk about the difficult issues in a constructive fashion, develop and commit to clear cross-organizational goals and hold each other accountable for them. LaL gave us the tools to build trust and challenge each other on the things we don't follow through on. Personally, I am reluctant to displease others, and my leadership style has traditionally been through consensus building. Working with my coach, I learned how to set a clear direction and give the stronger leadership that my peers wanted me to provide. I am now able to fully step into my role as a leader with creativity and courage. I have never taken part in any other training, workshop or seminar that had such a powerful effect on me. I was initially skeptical, guarded and overall doubtful it would make a difference. I couldn’t have been more off in my initial judgment. The experience was incredibly valuable and I would recommend it without hesitation. I found the Personal Mastery workshop to be the most thorough and complete work I have ever done in this area. I learned an enormous amount about my own patterns — their underlying structure, benefits and costs. It truly brings to life what it means to move from a reactive to a creative orientation. I also appreciated the staff enormously for their professionalism, accessibility and humility. I have had many opportunities during my 48-year career for personal development and growth. Several years ago when I embarked upon the most recent such program (LaL), you might have thought I shouldn’t have a lot to learn about myself or leadership, but you would be wrong. LaL is one of the most effective programs for leaders at all levels that I have ever experienced in my career. When my NASA Langley Research Center leadership team and I were facing the huge challenge of a 50% budget cut, many of us began LaL’s program to help us work together more effectively. Simultaneously during this challenging experience, my daughter was bravely fighting a battle against cancer that she eventually lost. I’ve never been through a rougher time in my life. The difference that LaL made was simply phenomenal. LaL helped me come through this very difficult time whole and successful in keeping my family together while leading a team that succeeded with the most difficult challenge they had ever faced. Over the past two years I have exposed my entire management team and my wife and three children to LaL seminars and coaching. At work and at home, trust has increased, communication has improved and mutual support has become the common focus. There is no organizational or family unit that could not benefit from the LaL experience. It was helpful to hear in the feedback a narrative rather than bar charts and statistics. There were more nuances in what came out. The personal revolution and growth I’ve experienced has had a major impact in both my personal and professional life. I am amazed at how much clearer my thoughts/processes have become and how that translates to growth. This is truly a remarkable life-altering program and one that I recommend highly. Have you ever asked your kids for a performance appraisal? Wonder what rating you would get? Would my son feel that my parenting skills and behavior offered him the support he needed as a young man to accept life’s challenges and be fulfilled with school, work and recreation? Having the opportunity to examine our lives together in the LaL Personal Mastery seminar was extraordinary! I am becoming aligned with and supportive of my teenager’s dreams, aspirations and priorities — and even more incredible is that he is open to receiving my support. The seminar was a great starting point that opened safe and non‐threatening communications for both my son and me. My experience of LaL’s year-long leadership training program has improved my daily experience of life at the most fundamental level. Conflicts that have been a source of agitation and struggle over decades have moved to resolution; I am more comfortable in my life, my relationships and my various public and private roles than I ever imagined possible. While my wife and I began LaL with a focus on strengthening our marriage, I also find my work relationships fundamentally changed for the better, and my ability to lead large organizations significantly enhanced. At 55, I am doing the best work I have ever done in my life. The program gave me the time and space to reflect on challenges that we’re facing as an organization today and how I could apply the tools to improve our approach. Upon returning I have already made some significant shifts in how I’m leading our non‐profit, in how I am delegating and empowering others to step up more in the organization. I feel a great sense of clarity and inspiration. I had life-changing breakthroughs in Team Advanced Mastery that opened up the world for me ... and have had a big impact on the team. LaL is the most impactful training program I have attended in my 12+ year career. Thanks to the ongoing coaching and feedback I have received in my company, I’ve become much more aware of my areas for improvement and the importance of addressing them. Nevertheless, I’ve been frustrated by my lack of progress in improving certain areas of my leadership style. In particular, I have consistently received developmental feedback related to communication style and general emotional intelligence (EQ). For example, I have always struggled with being too directive with my direct reports or feeling the need to argue points to prove that I am right. Obviously, these behaviors are not conducive to learning and development nor do they create an environment where others are comfortable being open with their ideas. While I was aware of this, I had not made more than incremental progress in changing, despite making it a regular developmental priority. The LaL program provided a set of experiences and tools that allowed me to better understand the root cause of these counterproductive behaviors. I now have better understanding of why part of me continues to cling to them as a source of security amongst other benefits. The change in my actual behavior has been most rewarding. One of my biggest challenges at work and in my personal life is being vulnerable with others. This has prevented me from connecting with people in the way that I would like and, in turn, has made others feel that I am distant or unempathetic to their issues or needs. I have spent a lot of time during the LaL seminars and in my coaching calls working on this issue and I have made some real headway. Last year, I was faced with the unenviable task of redeploying a direct report who was a long-time employee and an all-around good guy. Historically, I would have dealt with this by being very objective and transactional in my dealings with the impacted associate. While the associate would have heard all the “right things” and been given all the “right tools,” they would have not felt much empathy or seen much emotion from me. This time, the process went a lot better and I have received very positive feedback from the associate regarding our interactions. Personally, the process was also a lot more rewarding. I am also much more aware of how my need to prove that I am right impacts my relationships with my peers and direct reports. I am able to truly listen versus focus on preparing my response. This change has really helped my relationships with my direct reports where I am much more cognizant of their needs or concerns versus always being focused on what I wanted to get out of the conversation. Very powerful discoveries were made in Shared Mastery that resulted in permanent improvements. My experience has been fantastic! It has been the most impactful program I have attended in my 14‐year career at Boeing. I was able to uncover specific patterns in my behavior and their root causes. That was extremely enlightening for me. For example, I’m now aware that I’m often driven by my (previously unconscious) desire to be liked. In some cases, this driver can cause negative consequences if I’m not as direct with my team as needed or don’t set high enough expectations for those I lead. This is a consistent behavior that I’ve been working on and receiving feedback on through the regular Boeing performance management process as an area for improvement. While I was aware of these counterproductive behaviors, I had not been able to make more than incremental progress in changing them despite making them a regular developmental priority, until I uncovered the unconscious driver. These seminars not only helped me recognize this specific pattern and others, and become acutely aware of the root cause behind these recurrent behaviors, but also provided me with tools to be able to consciously act to build a more honest and productive environment around me. Having the power to recognize my patterned behavior and make a choice about how to act has been extremely powerful. The self‐awareness that I gained has greatly enhanced my leadership abilities. The experience energized me to more consciously begin creating the environment I want around me — one of engagement, learning, and growth (which used to be hampered by my unconscious reluctance to give constructive feedback or set firm expectations). Over the past couple of months I’ve put my learning into daily practice with improved delegation, more clarity in my communications and accountability. I have set clearer and higher expectations with my direct reports and entire program team and I’ve been more diligent about follow‐up to insure delegated tasks and projects are on track while still giving the individuals and teams the agency to “own” the task. Thanks in particular to the Advanced Mastery seminar, I’ve applied some new strategies to email, meetings and prioritization. The awareness I gained about my own personal time management has resulted in my ability to be more in control of my time, while being productive and effective with much less stress. Of personal significance to me is my new ability to take feedback as a learning opportunity rather than a discouraging threat, using it for inspiration rather than focusing on my failure. I’ve received positive feedback from my team about their appreciation of the clear direction and have noticed a more communicative relationship with my executive leadership. As the founder of a training and consulting firm and a non-profit, a major obstacle is the number and variety of people working on different projects: their needs, expectations and personal goals often greatly differ from one another. With LaL I have been learning how to bring these multifaceted people together in harmony and work with less friction toward a commonly shared vision. As an academic administrator, I play a diverse set of roles and interact with a wide variety of constituents. LaL gave me a lens and framework for seeing clearly the ways that I contribute to the frustrations I sometimes experience on the job. More importantly, it gave me a roadmap for creating the kind of life (work and otherwise) that I truly want and some tools for staying on the path. LaL is a unique developmental experience that uses proven tools to help you understand why you behave the way you do and actually improve. I realized by unconsciously wanting to be the smartest guy in the room I was not engaging my team despite my best intentions. LaL greatly enhanced my ability to unleash my and my team’s potential. I’m seeing similar breakthroughs in my division presidents and their VPs. I would recommend LaL to anyone interested in improving their style, the trust on their team and the culture of their organization in a fundamental way. The experience of the one-year program seminar was profound and moving; leaving me uplifted and with a remarkable clarity about what is important in my life and work. It has enabled me to reach an understanding of what motivates me at the deepest levels, and have provided tools to enable achievement of my highest aspirations. We talked about things I honestly never thought we'd get to — and it's continued after the seminar. I especially liked that the coach spent time not only with the feedback, but my thoughts, emotions and feelings about each feedback response. That was extremely helpful for me not only at the time, but also when I got to the Personal Mastery course and began my introspective journey. For me it was good to get used to thinking about what I was feeling and thinking. Receiving LaL’s executive 360º feedback assessment was hugely powerful. The depth of the interviews with my feedback partners and their examples of my counterproductive behaviors were so clear and well-meaning that I really couldn’t deny there were areas for me to improve. The 360 put me in a more receptive mindset to making the changes I’ve really needed. Thanks to Personal Mastery, for the first time in many, many years I thought about what inspires me, what is my purpose… Armed with this new information. I have become much more effective in relationships at work and at home. Little things like listening more carefully and seeking to understand another point of view rather than moving to conclusions too quickly, have created for me a more peaceful life while increasing my effectiveness at work. Team Advanced Mastery materially altered the way our team interacts. We’re more honest, authentic and respectful, have a common language and a shared understanding of each other and new tools that make it safe to communicate different opinions. Conflicts now lead to better relationships! It’s easier to be at work facing the extraordinary stressors of our industry. The Advanced Mastery seminar is what put it all together for me — it’s where the rubber meets the road. Now I am able to more effectively cover the big picture and all the bases, staying focused on the essential. The best money I've ever spent on a training. It was extremely valuable for our entire team to attend together. I am leaving the seminar excited about living more in the present while being intentional about the future. The atmosphere created by the group attending Personal Mastery was one of the most amazing experiences I have had. I feel energized. I was fortunate to be introduced to the LaL program. The very comprehensive 360º evaluation by my peers, co-workers, board members and friends, the week-long workshop and working with a wonderfully insightful executive coach gave me new insights into my own dynamics, strengths, areas I needed to work on as well as my leadership style. My ongoing coaching sessions have been invaluable to me, providing me with a safe space to explore life issues as well as interpersonal work issues. As a result, I have become more self-reflective and have grown in self confidence as a leader. I highly recommend the program to all who wish to live a full and meaningful life! As the Employee and Organizational Development Manager, I have certainly had my fair share of experiences with training initiatives — LaL is definitely a cut above in terms of sustainable team building and leadership skills. Getting honest feedback coupled with patient, experienced coaching and being with my peers in the intensive yet relaxed setting of the LaL workshop were key to improving the person I bring into work. LAL’s work with our organization, especially our senior team, has been clearly effective. We brought to LaL a new and somewhat fractured team that was at the early stage of a set of important initiatives. We were able to explore our group and individual strengths and weaknesses in an honest and fearless way, and develop a plan of improvement. LaL has transformed our culture, starting with a strong commitment from our management team. We’ve made it easy and safe to ask for and give honest, constructive feedback, and we’ve added the category of relationship behavior to our performance reviews because that has become a priority for us. It’s helped us get more done with less stress. We’ve learned how to take the risk out of confrontation by bringing issues to the surface in a way that doesn’t make people wrong. We have difficult conversations without them being difficult anymore. Thanks to LaL, in the last five years, our organization has successfully expanded with a lot less drama than would have been the case without their great work. Personal Mastery has been one of the most profound and enlightening experiences of my life. During my prep and pre‐course training with my coach, it was clear to me I was at a crossroads in my life. The program has helped me in understanding my behaviors and thought processes. My future and my most important relationships in my life are going to be fruitful and so much more fulfilling. The insight our family gained radically changed our ability to communicate with each other. I learned how much the need to protect my ego has played into my behaviors and decisions both personally and professionally. Having that awareness has allowed me to make clearer business decisions devoid of fear and do higher quality work that’s more focused on the goals of the company. I’ve turned my formerly unproductive behaviors into strengths. By getting my actions in line with my values and vision, I’ve become more comfortable in my own skin which has made me a better employee and leader. The philosophies, words and methodology that LaL uses translates very clearly to the non-profit community and its leaders. I learned more in nine days than I learned in two years reading leadership books. Personal Mastery was amazing and has positively impacted my life both personally and professionally. In the IT industry when a problem occurs you fix the problem then you look for the root cause. That is what Personal Mastery did for me: found the root cause. No one likes to talk about failure, but the fundamental work that I do is to establish causes of failure in organizations — be it equipment, process or product failure. LaL is about identifying causes of failure within our own selves and beginning to see and embrace failure as a learning experience and an opportunity to understand cause and effect. All of us fail at some point. LaL allows us to communicate about it rather than hide it, to not beat ourselves up or point the finger at others. I find LaL to extremely relevant to senior managers. 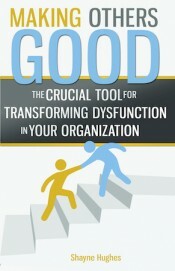 It focuses on personal patterns as they relate to structure and accountability in organizations. When the causes are chased deep enough you find them rooted within the players, either internal to the individuals or as a result of the way they interact with each other, which is an outcome of their patterns. This is true at all levels of the organization, but the consequences are geometrically larger as you move up the hierarchy. 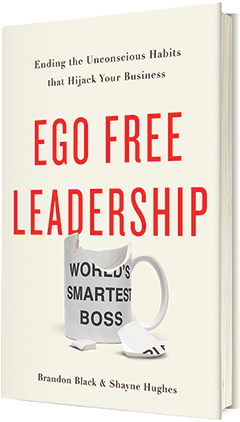 As a leader, by becoming conscious of my ego dynamics, I am aware of the implications of my reactions on the organization for which I'm accountable. Being more conscious in my choices and decision-making is the leverage for organizational change. The interactive way in which the feedback is gathered allows for much deeper probing into what the respondent is trying to convey. It is much more thorough than a multiple-choice approach that compares me to a database for the purpose of placing me in a statistical ranking. The result is that I got a much deeper look at my behaviors — complete with specific examples — than I have ever experienced with other feedback approaches. The way in which the feedback was delivered was also very important. I wasn’t able to blow off the feedback since my coach gently but skillfully offered a mirror for me to see myself clearly, even when I didn’t want to. We were also able to set up some useful agreements for future feedback experiences (i.e. ‘please point out when you perceive my reaction to be defensive’). The feedback was very useful because of the identification and interpretation of consistent patterns in various domains. There were things I saw that I hadn’t thought about, but when they were pointed out, I felt they were on the mark. It’s a gift to have multiple lenses through which to see one’s self, which is what 360º feedback provides. Most impactful program I have attended in my 14-year career at Boeing. The coaching aspect of LaL’s 360º feedback is instrumental. I’ve used different online feedback services, and it can be somewhat daunting to receive a report and feel like you need to work through it yourself. Hearing the feedback verbally — with context and in some cases with examples — and then dialoguing about it with your coach gives you much better insight and understanding. Through that process, you discover if there are pieces of feedback that you’re disconnected from (blind spots), and you explore why — it’s a truly in‐depth process of scrutiny and analysis. Also, your coach helps you assess what is most important to focus on in terms of your own areas for improvement. For me, the process was a real springboard for working on my areas for improvement within the context of the LaL seminars that followed. As a CEO, LaL has been my most powerful tool to create culture change in our organization. LaL’s 360º Feedback process reinforced my motivation for changing patterns, and helped me set goals aligned with realistic assessments of my potential. It is unique because of the skill of the feedback gatherer, and the intensity of the process. We have difficult conversations without them being difficult anymore. I gained the ability to take feedback as a learning opportunity rather than a discouraging threat, using it for inspiration rather than focusing on my failure. I have done a number of leadership programs, but Personal Mastery has been the most intense and beneficial. It was completely worth the time commitment. I wish we could run our entire team through it. LaL provides the very best independent leadership development programs that I know of. They have developed a sophisticated analytical lens, and they have crafted tools that enable participants to apply that lens in their daily work. The result is a powerful learning experience equal to none, and both participants and their organizations are the beneficiaries. More in control of my time, while being productive and effective with much less stress. This feedback stands alone because it digs a level deeper into the questions and tries to reveal some of the issues that may lie underneath the surface. The LaL feedback process provided a structured forum for partners to give candid and relevant feedback. LaL’s feedback is collected around individual opportunities for improvement rather than generic, broad based topics. This focused approach is more personally relevant, motivating you to improve those areas. Leann Wilt Director of Human Resources, Venchurs, Inc.
We explored our strengths and weaknesses in an honest and fearless way, and developed a plan of improvement. Because of LaL’s 360º Feedback process, for the first time in my life, I’ve been able to step outside of myself and look inside through the eyes of those I interact with on a daily basis. I’ve seen aspects of myself that I never knew existed that others have observed. This feedback process helped me get the most out of the seminar, but it also remains a constant guiding force on how I act and react to my environment and relationships. That lasting change makes me a better manager, friend and person. I am so self-aware now that when I know I’m regressing, I try to snap out of it right away. Through the 360º process, my coach became my confidante and knows me better than most people who have known me my whole life. I have never been so comfortable with an individual. Her caring and honest desire to help me address my areas for improvement in the seminars and beyond have been truly life-changing in certain instances. We are having drastically more productive conversations and are more aligned than we ever have been. This was the first feedback I had received that addressed the barriers I was creating to prevent my development as a leader in my organization.